Nikon introduced the new PC-E NIKKOR 24mm f/3.5D ED lens, the latest in a series of lenses that are equipped with a tilt/shift mechanism that enables photographers the flexibility to effectively manipulate perspective, distortion and focus. Whether photographing architecture, landscapes, interiors or panoramas, this Perspective Control (PC) lens easily corrects linear distortion and aberration to deliver images that more accurately reproduce the view as the human eye sees it. Nikon announced the new AF-S DX NIKKOR 16-85mm f/3.5-5.6G ED VR lens, which offers Nikon digital SLR photographers exceptional wide-angle capability along with superb telephoto versatility. The wide-ratio zoom makes this new lens suitable for a broad range of shooting situations, including indoor and outdoor events and portraits and scenery, making it ideal for everyday use. 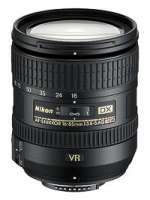 It incorporates several of Nikon’s most advanced lens design attributes such as Extra Low Dispersion (ED) glass, Silent Wave Motor technology (SWM) and Nikon VR (Vibration Reduction image stabilization), delivering the outstanding optical performance that has made NIKKOR lenses the choice of so many professional photographers. Kingston Technology Company announced it is adding a 16GB Class 4 SDHC Flash memory card to give consumers greater storage flexibility and faster speed to optimize use of today's higher resolution imaging equipment. The new 16GB card is the largest capacity in Kingston's line of SDHC cards, which include 4- and 8GB SDHC Class 2/4/6 versions. Think Tank Photo announces the release of Hydrophobia 300 - 600, the first rain cover specifically designed to be pre-mounted for quick deployment. When in the field, where inclement weather can destroy a shot or gear, photographers need a simple and hassle free system for immediately deploying rain cover to protect their SLRs and lenses. Giving photo enthusiasts the freedom to take more pictures and shoot more video, SanDisk Corporation today increased both capacities and speeds in its SanDisk Ultra II line with the introduction of 32- and 16-gigabyte (GB) SDHC cards and an 8GB SDHC Plus card. The announcement was made at the photo industry’s PMA 08 International Convention here. 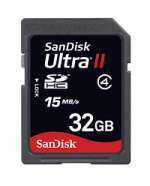 Ideal for today’s camcorders and point-and-shoot digital cameras that can record both video and still images, the cards offer faster read and write speeds of 15 megabytes per second (15MB/sec), up from previous speeds of 10MB/sec read and 9MB/sec write in the SanDisk Ultra II line. Sony Corporation today announced the development of a 35mm full size (diagonal:43.3mm/Type 2.7) 24.81 effective megapixel, ultra-high speed high image quality CMOS image sensor designed to meet the increasing requirement for rapid image capture and advanced picture quality within digital SLR cameras. 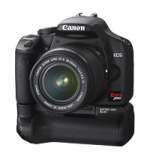 Canon EOS Rebel series of digital single lens reflex cameras – the cameras that defined and refined what it means to be an "entry level" digital SLR – have now redefined the gateway prowess and "pro-ness" of the DSLR category with the introduction of the line's new leader, the 12.2-megapixel EOS Rebel XSi camera. Incorporating a number of high-end functions and technology found in Canon's professional SLR models, the EOS Rebel XSi camera boasts an improved autofocus sensor, enhanced 14-bit A/D conversion, an advanced Live View function, and the proprietary DIGIC III image processor. 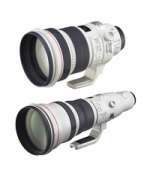 Canon a leader in digital imaging, today announced the launch of two new telephoto lenses for use with its EOS SLR cameras: the EF200mm f/2L IS USM and the EF800mm f/5.6L IS USM, the world's longest focal length lens with an Optical Image Stabilizer system. The Company, which exhibited prototypes of the lenses during PhotoPlus Expo in New York last October, is launching them at the PMA tradeshow (booth E101) at the Las Vegas Convention Center, January 31 to February 2. 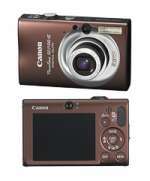 Canon is expanding its acclaimed and perennially popular A-series of PowerShot digital cameras with the introduction of three new, easy-to-use, easy-to-afford, feature-rich models: the optically image stabilized 8.0 megapixel PowerShot A590 IS; the 8.0 megapixel PowerShot A580, and the creatively color-keyed 7.1 megapixel PowerShot A470 digital cameras. As always, a high level of technological wizardry – forged over Canon's 70 years of imaging innovation and continually refined to meet the photography needs of every user from the tentative first timer to the passionate photo pro – is part of the birthright of every Canon A-series camera. Canon has announced a new addition to its PIXMA printer lineup, the new PIXMA MX850 Office All-In-One (AIO) printer for homes and small offices. The PIXMA MX850 Office AIO printer features printing, copying, scanning and faxing capabilities along with an Ethernet port for networking, making it ideal for the home where mom, dad and children are always on deadline to complete work or school projects. Aimed at the user looking to produce high-quality output from vacation photos to school projects, the new PIXMA iP2600 Photo Printer, announced today by Canon U.S.A., Inc., features photo-lab-quality printing, fast output speeds and a stylish design to capture the attention and satisfy the needs of consumers. Continuing to build on its single function printer line, Canon delivers increased printing speeds, adds Auto Image Fix technology and a sleek design. Picking the ten winners of the Hasselblad Master Awards 2008 has proved to be a lengthy but enjoyable challenge for Hasselblad, who received more than 1,700 entries to the newly re-energised contest. With each entrant submitting 10 images, the judges had to review over 17,000 photographs from established professional photographers using large and medium format cameras. The high level of entries is further proof of the excellent reputation the Hasselblad Master Award has developed over the years for celebrating the best in both established and rising photographic talent. Casio Europe GmbH and its parent company, Casio Computer Co., Ltd., announced plans today to introduce an entirely new lineup of Exilim digital cameras just in time for Spring. The new lineup will include five new convenient, user-intuitive models which make the most of Casio's newest technologies to enable entirely new forms of digital photography. One of the new models is a high speed digital camera featuring a revolutionary improvement in burst shooting speed that is expected to create entirely new markets. The other four models, while naturally offering significant enhancements in function and performance, focus on style with a new body shape that keeps height to a minimum and exudes a sense of premium design quality. 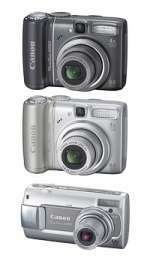 FujiFilm announced the launch of the latest in its ultra-compact, trendsetting Z-series – the FinePix Z100fd. Continuing on from where the popular FinePix Z5fd left off, the FinePix Z100fd comes in four stunning color combinations and is sure to be a hit with those who care as much about their own image as they do about the images they shoot. 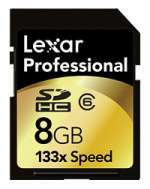 Lexar announced that it has increased the capacity of its SDHC ( Secure Digital High Capacity) format memory cards in all three of the company's popular product lines including Professional, Platinum II, and standard. Available later this month, the new 8GB cards provide consumers and professionals with the ultimate in functionality and performance, and are designed for SDHC-compatible devices such as digital cameras, PDAs, and mobile phones, to name only a few of the many popular SDHC-compatible product categories.